The 2019 Western Oregon Comedy Competition is here! Three nights, two round, and one champion! And it’s all come down to this- The Finals! 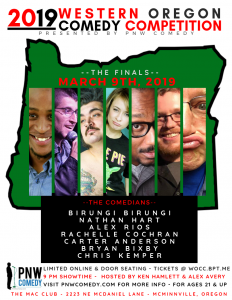 On Saturday, March 9th, the seven comics who were selected in the first round heats will perform their best material and then you, the audience, will vote to decide who is crowned the winner of the 2019 Western Oregon Comedy Competition! 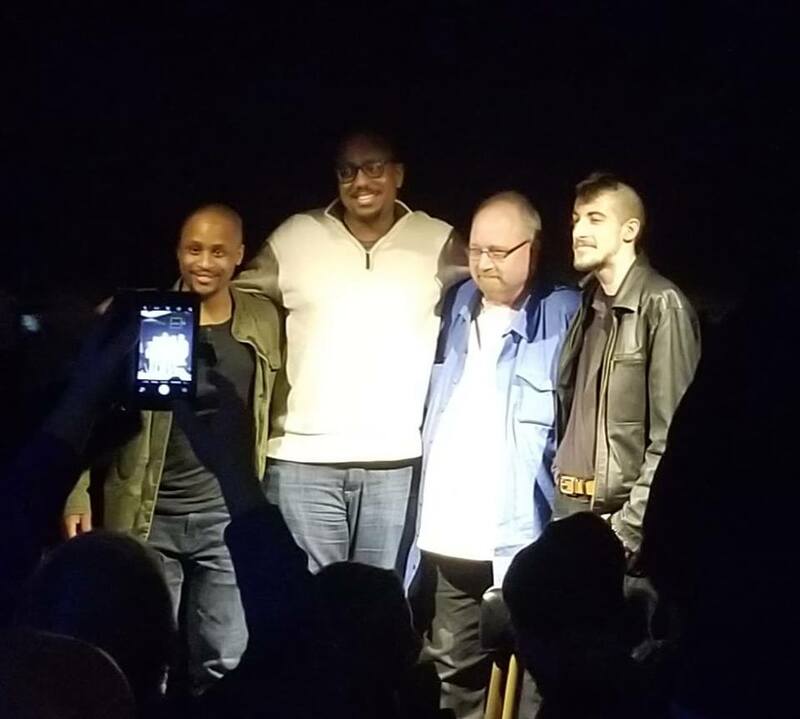 And we’re lucky to have two of the finest hosts in the land on this show- Alex Avery and the 2018 WOCC winner, Ken Hamlett! 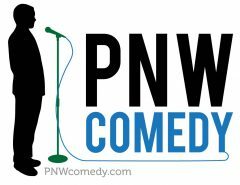 The year’s contest is graciously presented by PNW Comedy and hosted by The Mac Club in McMinnville, OR. All shows will take place there and start at 9 PM.